They actually caught alight on the plane. 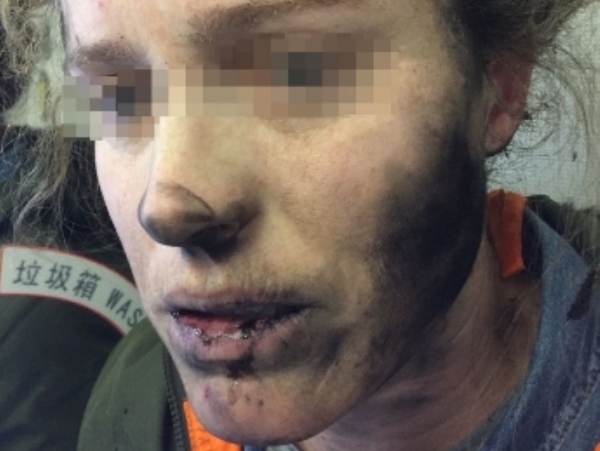 A woman has suffered burns to her ears and hands after her battery-powered earphones caught on fire while in her ears mid-flight to Melbourne, Australia. The woman's face was blackened by the fire from the mini explosion in her ears. 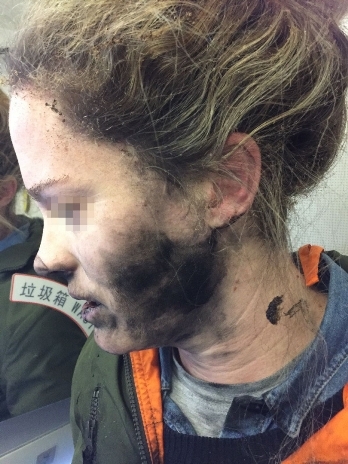 Two hours into the flight from Beijing, China, to Australia, the unnamed woman was listening to music when she heard a loud explosion in her ears. In a statement issued by the Australian Transport Safety Bureau (ATSB), she said, "As I went to turn around I felt burning on my face. I just grabbed my face, which caused the headphones to go around my neck." She also said she continued to feel burning so she grabbed the earphones and threw them on the floor. That is when she saw they were alight. The battery-powered earphones had apparently melted and were stuck to the floor after the attendants put out the fire. 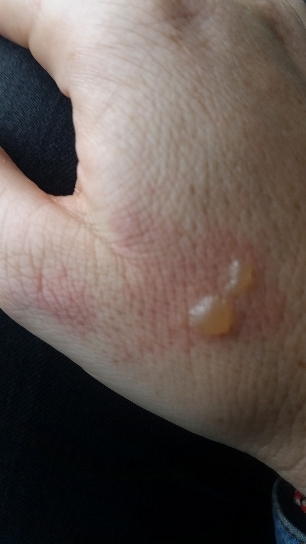 The Australian woman was left with burnt hands and a blackened face as a result of the small fire that started in her ears. According to the woman, the burning smell was so strong that other passengers were coughing and choking on the fumes for the rest of the flight home. This incident has renewed concern from the ATSB, which reiterated that passengers with battery-operated devices are to store them correctly and to keep spares in carry-on, not checked, baggage. They added, "If a passenger loses a battery-powered device on a flight they should immediately contact the cabin crew." The brand of the earphones hasn't yet been confirmed.